Cannigione is a captivating inlet and a perfect starting point to discover Northeastern Sardinia. 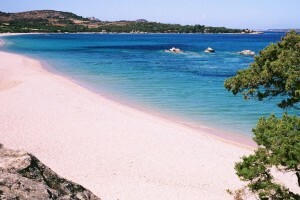 It boasts beautiful beaches, naturalistic itineraries, markets and restaurants to taste the local gastronomy of Gallura. 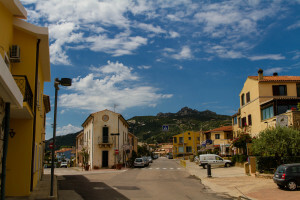 Cannigione was once a fishermen town but in the last thirty years, thanks to its proximity to Costa Smeralda, it has become one of the top holiday destinations in Northern Sardinia. Cannigione overlooks a natural port in the Gulf of Arzachena, the town center overlooks the seafront “Lungomare Andrea Doria”. Fishing was once the main activity, today everything revolves around leisure tourism. At the port you can rent rafts and boats, or book boat tours of the Maddalena Arcipelago, stopping at the “Manto della Madonna” (Cloak of the Virgin Mary), boat tours of Costa Smeralda stopping at the Island of Mortorio and finally boat tours of the Island of Caprera. The natural Oasis of Conia, “Mannena”, “Balca Brusciata” ND “L’Ulticeddu” beach represent the main attractions of this gorgeous holiday destination. Cannigione is the perfect destination to explore the Maddalena Arcipelago, the Island of Caprera and Costa Smeralda via the sea. Every 15 minutes boats depart from the port (during high season) making tours that allow tourists to spend a day in the water discovering the islands in Northeastern Sardinia. The main excursion is the one that makes a full tour of the Maddalena Archipelago, making several stops: by the town, to swim in the Island of Spargi, in Santa Maria, to do whale watching form Rosa beach and to visit the Port of the Madonna. Another trip we recommend is the one to visit the Island of Caprera, also knows as the island of Giuseppe Garibaldi, now a national park with fascinating coves as Cala Portese and Cala Coticcio. Nearby Cannigione you can visit some Nuraghes. 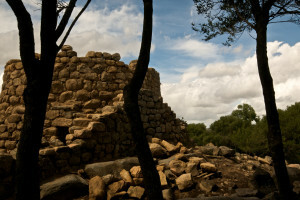 The main Nuragic complex is the Nuraghe La Prisciona, surrounded by the village, making it one of the biggest in Sardinia. It is a Nuraghe with three towers and a village around it made of hundreds of small shacks covering an area of 5 hectares. Archeological digs have brought to light dozens of artifacts, among which “Olla”, a decorated vase that is displayed in Sassari. 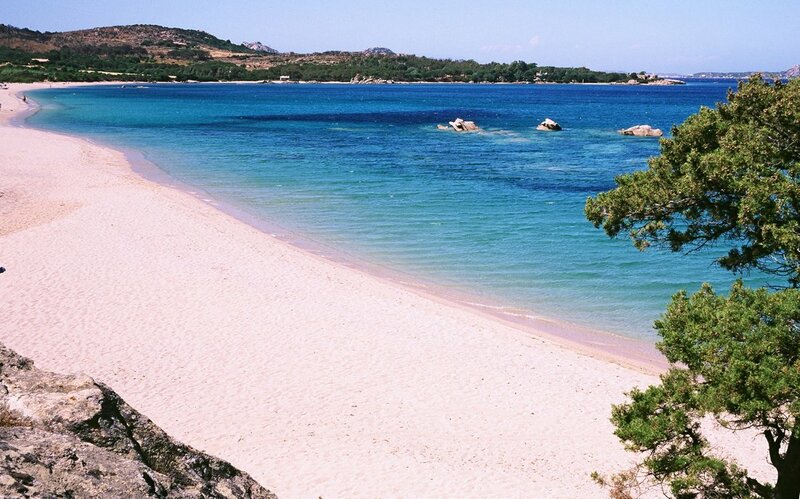 Another one of Gallura’s tourist attractions, nearby Cannigione, are the Stazzi and Li Conchi. The former, called Lu Stazzu in Gallurese dialect, are the old agro-pastoral houses, linear in shape, with granite walls and roofs made of tiles and canes supported by a trunk of juniper. 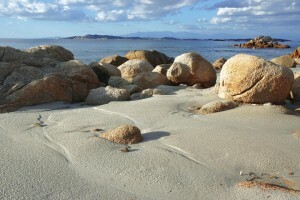 Li Conchi are a huge cavity in the granite rocks that emerges from the Mediterranean maquis. In the prehistoric age they were the first dwellings of the people of this area. They were the shelters in which the family life of Proto-Sardinians took place, later they became burial grounds and in recent times were used as shelters for animals first and then as storage space by shepherds. 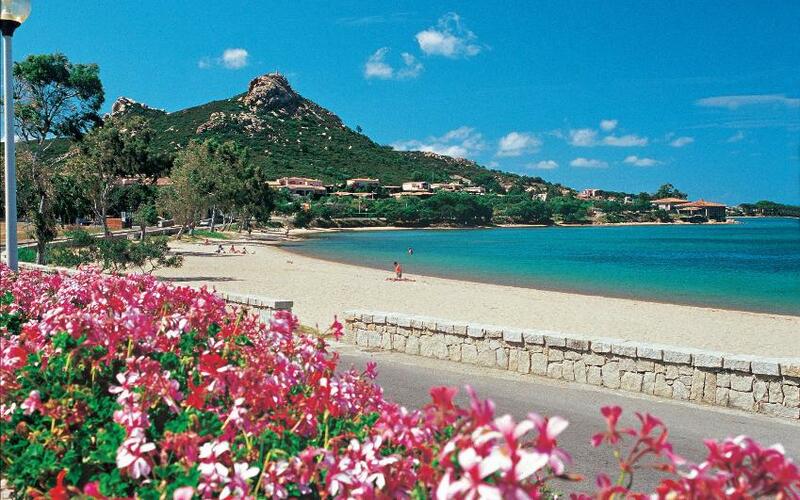 Cannigione’s best beaches are located near the town and the Gulf of Arzachena. There is a wide range of different beaches and inlets to satisfy all needs. Cannigione Beach is a stone’s throw away from the town, nearby the old harbor. It consists of a long stretch of white sand with shallow waters, ideal for families. Following the state road SP121 on the right you will find Conia, a narrow beach with a small harbor that shares its name. It is a white sandy beach with a pinewood equipped with tables and benches to organize picnics. You can reach Tanca Manna traveling further north along the coastal road that goes to Palau. Tanca Manna is a wide beach with white and clear sand, sheltered by a pond and the Mediterranean maquis. It has several facilities including a kiosk to rent beach equipment. Mannena is maybe of the few locations spared from intensive construction. It is a humid area that boasts a beautiful central beach, one of the largest in the municipality of Arzachena. There is also another smaller inlet, Punta di Barca Bruciata. The uncontaminated environment is ideal to really understand what the Gallura region was like before mass tourism. In the last part of the coastline, North West of the Gulf of Arzachena, before reaching the Gulf of Saline, you will find two charming inlets where the water forms a transparent swimming pool, hence its name. You can reach this coast via a path, and these beaches are just as beautiful as Caribbean beaches. Thin sand and blue water with a fantastic range of colors and suitable for children.